Optolong's Moon & Skyglow filter is designed to darken the background sky by blocking light transmission from skyglow (589nm) and many street light emissions from artificial light. Its high efficiency preserves image brightness, reveals more details and increases contrast of moon, galaxies, nebulae and globular star clusters. 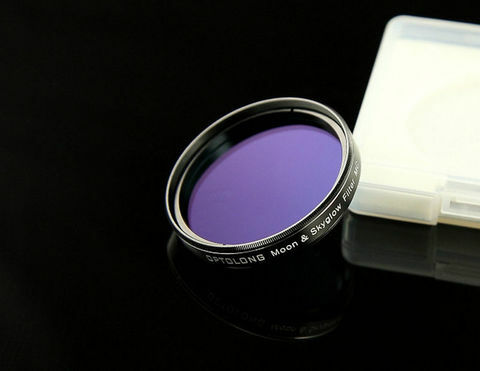 This is a versatile filter for visual observation and astrophotography of planetary nebulae. Enhance contrast of moon, galaxies, nebulae and globular star clusters. Also blocks out infrared wavelengths (700-1100nm) so a separate IR cut-off filter is not required for imaging applications. 2mm thick Schott B270 optical glass substrate material. Electron-beam gun evaporation with Ion-assisted deposition coating technology for durability and resistance to scratching, as well as stability on CWL (central wavelength) so that there is no deviation due to temperature changes during use. 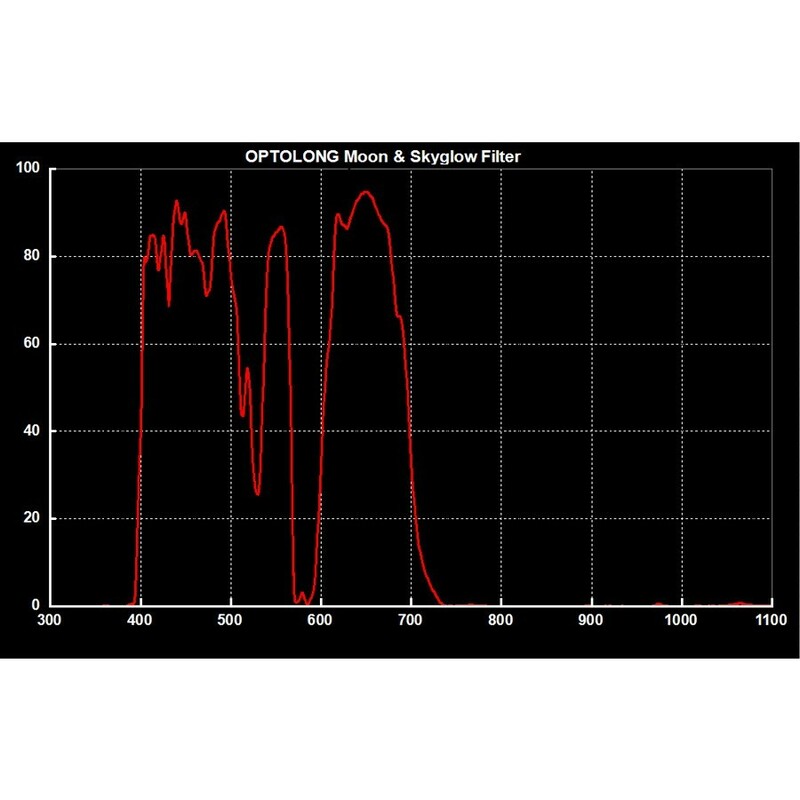 Every single filter is tested and passed by Optolong before shipping to dealers. 1.25" astronomy filter with standard M28.5x0.6 male filter thread (no female thread, so it cannot be stacked with other filters). Precision CNC-machined metal filter cell with sand blasted black anodized finish, anti-reflection treatment, and laser engraving. High quality protective plastic storage case.